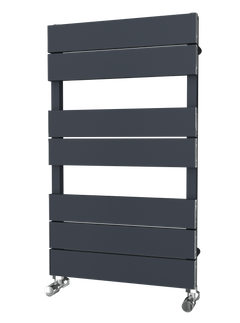 The Supplies 4 Heat Apsley Towel Radiator has rounded bars that are in a curved configuration, which means it can fit the chunkiest of towels to warm. The Supplies 4 Heat Apsley would look great in any bathroom or kitchen. The Apsley comes in a crisp white, or a choice of 25 RAL Colours! Delivery: Standard White in 48-72 hours, RAL Colours in 15 working days. The Radox Eros Towel Radiator provides perfectly sized hanging spaces in a flushed finish. It is beautifully polished and suitable for any bathroom. 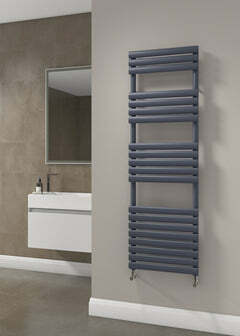 It is one of the most ideal towel hanging radiators in the UK market. The Radox Eros Towel Radiator is made out of stainless steel. It is also available as an option with the sizes of 625 x 500mm, which would perfectly suit smaller spaces. The Radiator Company Sitar Vertical Radiator is a stunning Single Panel radiator with rounded tubes creating a defining look. The Sitar would look superb in any room, and would look great as part of a whole house design. The Radiator Company Sitar Vertical Radiator is available as either standard White RAL 9016, 188 RAL Colours or 32 Special Finishes. The versatile TRC Sitar Single is also available as a Sitar Double Panel - click here to view, this will give increased heat outputs. 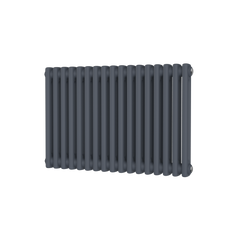 And also available as Sitar Horizontal Radiator - click here to view, this size will enable the radiator to go under windows etc. 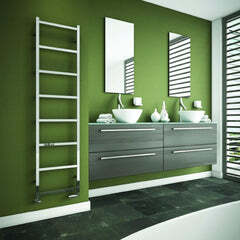 The Reina Capelli Stainless Steel Towel Radiator features a lovely asymmetrical design. It has flat polished glossy bars for that real luxurious look. With plenty of space for those towels the Capelli is a stand-out design. The Reina Capelli is made out of luxurious stainless steel and would look great in any bathroom.